Slantrange, developer of airborne remote sensing and intelligence systems and analytics solutions for agriculture, recently announced its $5 million Series A equity financing from a consortium of investors led by The Investor Group, a San Diego-based investment firm. The funding will accelerate the development and scaling of Slantrange’s proprietary drone sensor and analytics technology to help farmers improve operations amid a rapidly transforming business landscape. Slantrange provides sensor and analytics systems for use on drone aircraft which measure a range of conditions, such as crop plant and weed densities, stress from pest infestations, nutrient deficiencies and dehydration. With more accurate and complete intelligence at their fingertips, farmers, crop scouts and agronomists can quickly make decisions to improve their harvest and reduce operational costs. The company began with a focus on applications for corn and soybeans and now has deployments serving multiple crops across the U.S. and abroad. Slantrange provides drone data collection and efficient processing speeds for agriculture. The technology is calibrated with a frame-to-frame, on board, ambient sunlight spectrometer, enabling more accurate information and insight generation over the course of a growing season or multiple seasons. 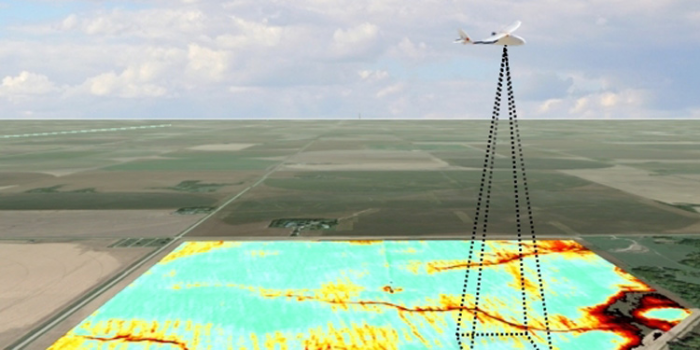 Unlike conventional mapping techniques, the technology only requires 20 percent overlap, which means four times more area is covered per flight, resulting in cost reduction. Farmers can access a variety of data products within minutes of the drone’s flight, representing a speedy turnaround time and marking an important factor for timely farming decisions. And the analytics do not require a network connection or uploading of data to the cloud, enabling the system to be used in any location throughout the world.